The parenting landscape has been steadily changing over the years as more and more grandparents are becoming parents to their grandchildren. Whether the situation is due to more and more children being born out-of-wedlock, or because divorce is on the rise and family units are broken up, grandparents have been gaining more prominent roles in what our current generation sees as a nuclear family. With changes in Georgia law over the past few years, more and more grandparents have been gaining visitation rights as well as custody rights of their grandchildren. When you’re concerned about your grandchildren it’s important to stay informed, know your rights, and be sure to seek legal advice for any questions you may have. What rights do grandparents have to see their grandchildren? Is it possible for grandparents to have visitation rights? JODY: Grandparents do not have any pre-existing rights to their grandchildren. However, Georgia law allows grandparents to seek visitation rights, as well as custody rights, in certain circumstances. The court may grant certain family members of the child reasonable visitation rights if the court finds by clear and convincing evidence that the health or welfare of the child would be harmed unless such visitation is granted and if the best interests of the child would be served by such visitation. If visitation time is awarded to a family member, the time shall not be less than 24 hours in any one-month period, according to the law. Can grandparents gain custody of grandchildren? JODY: The law allows parental power to be lost if the courts find it is in the best interest of the child or children to place them with a third party. Custody in these cases may be sought by certain family members, specifically limited to grandparent, great-grandparent, aunt, uncle, great aunt, great uncle, sibling, or adoptive parent. If social services is looking for a temporary or foster home for children, what preference is given to grandparents? JODY: Grandparents are ideal placements for children involved in social services cases in which the Department of Family and Children Services removes children from parents’ homes due to allegations of dependency. Dependency actions are handled in Juvenile Court, and do not result in permanent visitation or custody rights, unlike an action in Superior Court. Cases in Juvenile Court are only temporary actions, unless a parent’s rights are terminated and a grandparent adopts the child through this process. Can a grandparent adopt a grandchild? JODY: Yes, a grandparent may seek to adopt their grandchild whether the case is by agreement with the parents or not. Adoptions may be handled through the superior courts, and in some instances the juvenile courts when dealing with a dependency action with DFCS. Adoptions are very technical, so I always encourage anyone seeking to adopt to consult with an attorney. Does the Sellers Law Firm represent grandparents in situations like any of these we have discussed? JODY: These scenarios are perfect examples of what our law firm is all about. 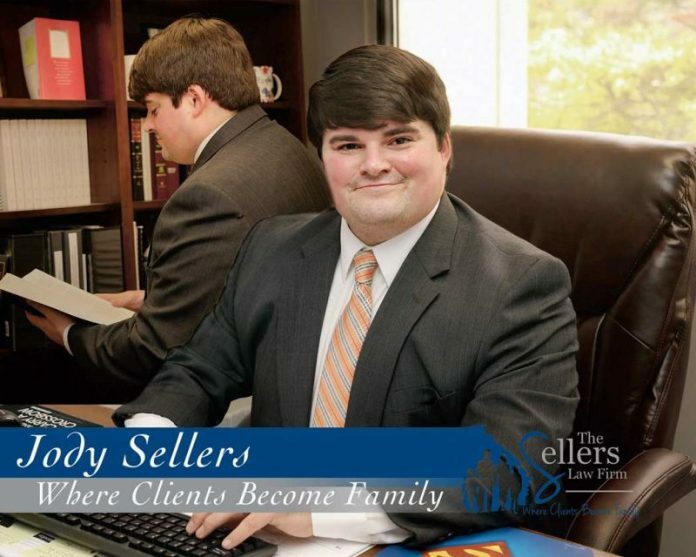 At the Sellers Law Firm our goal is to protect your rights as grandparents. Whether you are seeking answers about a guardianship, custody, or visitation, we are here to guide you. We are a place where we actually care about clients, a place where clients become family. If you need help, it would be our honor to serve you. Give us a call at 770-415-9848 if you have any questions about matters of family law.